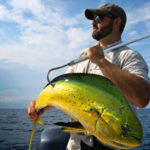 No matter if you are an amateur fisherman or a professional who makes a living out of this, you certainly know that your fishing session is just as good as the quality of your lure – that being said, the Bettencourt Baits Rodent fishing lures have been around for more than a decade now, and they have already become very popular because they are always manufactured with great attention to detail. The purpose of this high-quality fishing lure is to perfectly mimic the natural look and feel of the rodent baits, so that they will attract fish for real – this is why the lures are made with real fur thats simply allows it to glide through the water. On the other hand, the lively colored red Daichii hooks are designed to draw the attention of the fish and to make it bite the bait. Why Invest In Bettencourt Baits Rodent? 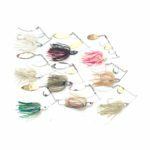 The most notable benefit of these baits is the fact that they truly look like live rodents – they are soft, small and impossible to ignore by the hungry fish who think they just hit the motherload. Given the fact that the bait is made with natural fur only, the fur will act accordingly – it will get wet and stick to the body of the rodent bait as soon as you put it into the water. Another advantage of this bait is that in spite of being very lightweight and easy to maneuver, the Bettencourt Baits Rodent actually comes with a hinged middle section, giving the rodent a very authentic movement when being dragged through the water. 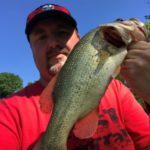 The entire bait is constructed on the principle that the more natural-looking the bait, the more likely you are to attract Bass, and the fur along with the red hooks are certainly great additions to it. Not only does the rodent bait look natural but it acts natural as well, as it subtly goes into the water and you will attract fish before you even know it – it will attract them, yet it will be virtually impossible for the fish to swallow the bait given its generous dimensions. Last, but surely not least, this is a cost-effective investment as well given the fact that the rodent bait can be bought online for about $25 dollars. 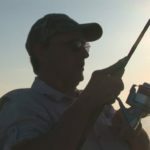 Every good fisherman should know that high-quality fishing rods and other equipment come with a price – in this case, it is a very affordable one, keeping in mind that the little rodent is handmade too. The only disadvantage is that given the natural fur, the bait will take more time to fully dry so you will need to let it outside to dry out before you put it back in the box, otherwise it can develop mold or mildew in the long run and fish are certainly not fond of it. 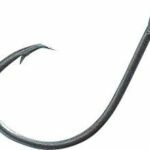 The bottom line is that the bait is perfect for those who like to fish in clear waters given its state of the art, subtle applications that get all the fish hooked – literally, in this case! Purchase the Bettencourt Baits Rodent Here!